Jean St. Germain, M.S., FAAPM. Ravinder Nath received Ph.D. degree from Yale University in 1971. He came to United States in 1967 after receiving B.Sc. (Honors) and M.Sc. in Physics from St. Stephen's College at Delhi University in India. After postdoctoral training in Experimental Nuclear Physics and in Radiological Physics both at Yale University, he joined the Department of Therapeutic Radiology at Yale University School of Medicine where he is currently Professor of Therapeutic Radiology (Radiological Physics). Since 1992, he has also served as Chief of Radiological Physics Section at Yale New Haven Hospital. Ravi has served in many capacities in the American Association of Physicists in Medicine (AAPM). He was president of AAPM in 1994 and Chairman of Board in 1995. He has chaired numerous AAPM task groups, which have led to standardization of medical physics practice in United States and abroad. His reports of Task Group 43 on Interstitial Brachytherapy Dosimetry and Task Group 60 on Intravascular Brachytherapy have received wide acclaim in the community. He chaired AAPM Radiation Therapy Committee from 1982 to 1986 and has chaired AAPM Science Council from 1997 to 1999. Ravi has also served extensively in many other national organizations dealing with medical applications of radiation. He has been Chair of Physics Committee of American Brachytherapy Society and participated in various committees of Inter-Society Council of Radiation Oncology, American College of Radiology, American Brachytherapy Society, Radiation Research Society, National Cancer Institute, Radiation Study Section of National Institutes of Health and National Council of Radiation Protection. Ravi has served on editorial boards of many journals, including Medical Physics, Endocurietherapy Hyperthermia, and Journal of Brachytherapy, Cardiovascular Radiation Medicine and Journal of Medical Physics. Ravi has published over 180 articles in peer-reviewed journals. He has contributed many significant advances in radiation dosimetry, nuclear instrumentation, Monte Carlo simulations, magnetic field effects, dose rate effects, radiosensitization, photodynamic therapy, and above all to brachytherapy in which he has made outstanding contributions second to none. He made many original contributions in the early development of radioactive seeds such as palladium-103 seeds, for permanent implantation of prostate cancer. More recently, he played a key role in the development of a new application of radiation in the prevention of restenosis following coronary artery angioplasty. His contributions to radiation oncology literature have brought him international recognition as a leading scientist in cancer research. He is also recognized as a leading expert in the physics of brachytherapy in coronary artery disease. Ravi received Medical Physics Award from AAPM in 1975, Henschke Award from American Brachytherapy Society in 1994, and Association of Indian Medical Physicists in USA Award in 1994, JM Paul Memorial Lecture Award in 1995 and Edith B. Quimby Lecture Award in 1997 from New York Chapter of AAPM. He is a fellow of AAPM and a fellow of American College of Radiology. He has led a distinguished career in medical physics, which has highlighted the important role medical physicists play in radiation medicine for cancer and coronary artery disease. Jerry Allison received his Ph. D. from the University of Florida in 1978. He joined the Medical College of Georgia, where he is Professor of Radiology, Allied Health Sciences and Graduate Studies. He is certified in Diagnostic Radiological Physics and Medical Nuclear Physics by ABR, Magnetic Resonance Imaging Physics by ABMP, Health Physics by ABHP and is a Professional Engineer. Dr. Allison has 30 refereed publications, 34 abstracts, 6 book chapters and 15 grants. He has taught 38 medical physics courses and directed 12 courses. He has taught radiological physics at MCG for 20 years. He has served on 10 different AAPM committees, two ACR committees, the panel of examiners for ABHP and serves on the examination committee for the ARRT MRI registry and for ABMP MRI certification. He has served as President and Board Representative of the Southeast Chapter of AAPM and as President of the Savannah River Chapter of the Health Physics Society. Morris Bank received his PhD degree from the University of Michigan in 1968. He completed a Post Doctoral Fellowship in Medical Physics at the University of Wisconsin in 1971-72. Dr. Bank performed as Radiological Physicist in Flint, Michigan [15 years], Royal Oak, Michigan [3 years], and Indianapolis, Indiana [6 years]. He joined the Department of Radiation Oncology at Indiana University Medical Center in Indianapolis as Director of Radiation Oncology Physics in 1996. He is board certified by the American Board of Radiology in Radiological Physics and by the American College of Medical Physics in Radiation Oncology Physics. He has been active professionally in the AAPM, serving on committees and was lead author on an AAPM report on Radiation Information for non-Technical personnel. He has published 13 papers and 19 paper/poster presentations at professional meetings. Dev Chakraborty received his PhD in Physics from the University of Rochester in 1977. For the next two years he was a fellow at University of Pennsylvania with Alan Heeger and Alan MacDiarmid. From 1979-1981 he worked with Dr. Ivan Brezovich, University of Alabama at Birmingham, in hyperthermia research. From 1981 – 1988 he worked with Prof. Gary Barnes, performing clinical and teaching functions as well as research in mammography, tomosynthesis, digital imaging and observer performance. Since 1988 he has been at the University of Pennsylvania where he is Chief of the Physics Section of Radiology. He has received several awards, honors and grants and has had organizational roles in scientific meetings of the AAPM, RSNA and SPIE. He has reviewed manuscripts for Radiology, Medical Physics and Academic Radiology and others. 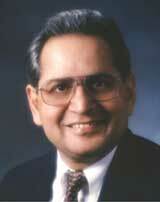 Dr. Chakraborty currently serves as the Associate Editor for Radiology. He is board certified by the American Board of Radiology in Diagnostic Physics and Medical Nuclear Physics. Indra Jeet Das received his MSc degree from Gorakhpur University in India along with diploma in Radiological Physics from Bhabha Atomic Research Center and Bombay University. He worked 8 years as physicist in India, Iran and Jamaica before joining school in USA where he received his MS and PhD degrees from University of Wisconsin and University of Minnesota, respectively. He did a short-term internship at Mayo Clinic in Rochester. He worked at University of Massachusetts, Fox Chase Cancer Center and is currently Professor and Chief of Clinical physics at University of Pennsylvania, Philadelphia. Dr Das has served on various committees of the AAPM and ACR. He is board certified by the ABR and ABMP. Dr Das is a fellow of the Institute of the Physics and Engineering in Medicine. He is recipient of the Farrington Daniels award of the AAPM. Dr Das has published over 70 papers and 100 abstracts. Carlos E. de Almeida, Ph.D.
Carlos Eduardo de Almeida received his Ph.D. from the University of Texas, Houston in 1979. He was the Director of the Brazilian Radiation Standards Laboratory, President of the Brazilian Association of Medical Physicists, Co-President of the World Congress on Medical Physics and Biomedical Engineering in 1994 and Chairman of the IAEA Symposium in 1994 and 1999. He has been the Chairman of the IOMP Education Committee, member of the IOMP Science Committee and consultant for IAEA and PAHO. He is board certified by the ABMP and responsible for the Brazilian Board Certification Program. He has advised 36 graduate students, and is presently a Full Professor in Medical Physics and Chairman of the Radiological Sciences Laboratory of the University of Rio de Janeiro. He is the coordinator of a national QA program in radiation therapy involving 33 institutions treating over 3300 patients daily. Bruce Gerbi is an Associate Professor at the University of Minnesota in the Department of Therapeutic Radiology. He received his B.S. and M.S. degrees from the University of Pittsburgh, and his PhD at the University of Minnesota in 1987. He has been at the Mallinckrodt Institute of Radiology in St. Louis, MO, and the Cancer Therapy and Research Center in San Antonio, TX. He has served on the Board of Directors of the American Association of Physicists in Medicine (AAPM), has been President of the North Central Chapter of the AAPM, and served on the Radiation Therapy Committee of the AAPM. He has helped establish programs in stereotactic radiosurgery, fractionated stereotactic radiotherapy, and standing total body irradiation. He is the primary author on numerous publications on detector response, dose in the buildup region, and stereotactic radiosurgery. His current research interests include, radiation detector design and testing, stereotactic radiosurgery, and positioning accuracy and dose verification. Maryellen L. Giger received her Ph.D. degree from the University of Chicago in 1985. She is currently Professor of Radiology and the College, and Director of the Graduate Programs in Medical Physics at the University of Chicago. Dr. Giger is one of the pioneer investigators in the fields of digital radiographic imaging and computer-aided diagnosis. Her research in CAD spans mammography, sonography and MR of the breast, chest radiography, skeletal radiography, and CT. She has served the medical physics community, including a term on the NIH Diagnostic Radiology Study Section and as Scientific Program co-Director/Director of AAPM's annual meetings. Dr. Giger is currently an associate editor for Medical Physics and IEEE Transactions on Medical Imaging, AAPM board member, chair of the ACRIN Image and Information Technologies Committee, and on scientific/program committees for AAPM, SPIE, CARS, and IWDM. She is a Fellow of AIMBE and has published over 100 peer-reviewed manuscripts and 100 proceeding papers. Michael Gillin received his PhD degree from the University of California, Davis in 1970. After completing a fellowship in radiological physics at Walter Reed Army Medical Center in 1973, he remained on the staff at Walter Reed until 1975. In 1975 he joined the faculty of the Medical College of Wisconsin, where he is now professor of Radiation Oncology and Director of the Section of Medical Physics within the department. Dr. Gillin has served in many capacities in the American Association of Physicists in Medicine. He is currently chair of the Professional Council and a member of the Board of Directors. He is board certified by the American Board of Radiology in Radiological Physics and by the American Board of Medical Physics in Radiation Oncology Physics. He is a Fellow of the American College of Medical Physics and the American College of Radiology. He has also been active professionally in the American College of Medical Physics and the American College of Radiology. He is currently the chair of the RTOG Medical Physics Committee. Dr. Gillin has published over 50 papers in peer reviewed journals. Stephen Graham received his Ph.D. degree from UCLA in 1971. He was then advanced from Instructor to Assistant Professor in the Dept. of Radiological Sciences. In 1978 he moved to the Sepulveda VAMC, and later to the West Los Angeles VAMC, hospitals affiliated with the UCLA School of Medicine. He is currently Adjunct Professor of Biomedical Physics. Dr. Graham has served on a number of committees in the AAPM and the ACR and is a Fellow of the ACR. He has been actively involved with professional organizations in establishing guidelines and standards for quality control of Nuclear Medicine instrumentation. These include the AAPM, American National Standards Institute, American Society of Nuclear Cardiology, International Electrotechnical Commission, National Electrical Manufacturers Association and Society of Nuclear Medicine. He has also served as a technical expert on instrumentation for the International Atomic Energy Agency and recently completed missions to Israel and Egypt. Thomas Hangartner received his Ph.D. degree from the Swiss Federal Institute of Technology in Zurich, Switzerland, in 1978. He then moved to Edmonton, Alberta, Canada, where he helped establish a new bone measurement laboratory at the University of Alberta. He was a Scholar of the Alberta Heritage Foundation for Medical Research which allowed him to be involved in research full time. In 1985 Dr. Hangartner took a position at Wright State University in Dayton, OH, where he is now Professor of Biomedical Engineering, Medicine and Physics and the founding Director of the BioMedical Imaging Laboratory. Dr. Hangartner is heavily involved in teaching and research. He is considered an expert in bone densitometry, particularly in quantitative computed tomography, and has two patents to his credit. As a member of the International Committee for Standards in Bone Measurement he represents the interests of the AAPM and the NOF (National Osteoporosis Foundation). Walter Huda studied Physics at Oxford University where he graduated in 1973. His PhD in medical physics was carried out at the Royal Postgraduate Medical School, University of London, and was awarded in 1979. From 1976 to 1981, Dr Huda worked as a physicist at Amersham International. In 1982, Dr Huda moved to the Manitoba Cancer Treatment and Research Foundation in Winnipeg, Canada where he worked in diagnostic imaging and medical radiation dosimetry. In 1990 he joined the University of Florida to become Director of Radiological Physics. In 1997, Dr Huda was appointed Professor of Radiology at the SUNY Health Sciences Center at Syracuse. His research interests are in medical imaging and radiation dosimetry. Dr Huda is certified by the Canadian College of Physicists in Medicine and by the American Board of Medical Physics and has published about 150 scientific papers. Andrew Karellas received his Ph.D. in Medical Physics from the University of California, Los Angeles (UCLA) in 1984, under the direction of Professor Moses A. Greenfield. In January 1984 he joined the department of radiology at the University of Massachusetts Medical School where he is currently a professor of Radiology and director of Radiologic Physics. He is a past president of the AAPM New England Chapter and past chair of the AAPM diagnostic x-ray imaging committee. He is certified in diagnostic radiological physics by the ABR. At Umass he established one of the few NIH-funded laboratories in the US which concentrates on research in the physical aspects of x-ray imaging with emphasis on digital mammography. Since 1989 he has served as a reviewer on many NIH and US army peer review panels and he was recently appointed for a four-year term as a member of the Diagnostic Imaging Study Section of NIH. Eric E. Klein received his MS degree from the University of Massachusetts in 1987. He began his career after training at Boston University School of Medicine in 1981. He is now Assistant Professor of Physics at the Mallinckrodt Institute of Radiology where he has resided for 12 years. Mr. Klein has served in many capacities in the American Association of Physicists in Medicine, most notably as the scientific director for the 2001 annual meeting. He is currently serving his second term on the AAPM Board of Directors. He serves as an Associate Editor for the Journal of Medical Physics and for the International Journal of Radiation Oncology, Biology and Physics. He is board certified by the American Board of Radiology in Radiation Therapy Physics and is currently on the board of the American Board of Medical Physics. Mr. Klein has published over 40 papers in peer-reviewed journals. Dennis Leavitt received his Ph.D. degree from the University of Minnesota in 1972. He was Assistant Professor at Pennsylvania State University in the Milton Hershey Medical Center for two years before joining the faculty at the University of Utah. Dr. Leavitt is now Professor in the Department of Radiation Oncology and Chief of the Therapy Physics Section, where he continues to teach radiation therapy residents at the University of Utah. Dr. Leavitt has served in many teaching capacities in the American Association of Physicists in Medicine and the American Association of Medical Dosimetrists as well as numerous committees. He has also been active professionally in the American Society of Therapeutic Radiologists and has served on committees for the American College of Radiology. Dr. Leavitt has received numerous grants and awards has published over 54 papers in peer reviewed journals. He has 22 articles in published proceedings and 7 book chapters. Dr. Charles Lescrenier, a practicing Radiological Physicist and educator (BA, Texas A & M University 1960; Postgraduate studies, University of Texas 1962; Yale University 1965; University of London 1965; MS degree, Instituto de Filologia Hispanica 1970; Doctor of Humane Sciences, Lakeland College 1990), is a pioneer in the application of laser beam technology to patient alignment systems in diagnostic radiology. He founded Gammex, Inc. in Milwaukee in 1969, to design, manufacture, and market laser systems to medical institutions in the USA and worldwide. Lescrenier is deeply involved in medical community life. An example of that is the creation of the Gammex Foundation in Madison, WI, a non-profit organization with the specific objective of encouraging the study of advanced thechnological innovations relating to medical imaging, therapy equipment, and related systems. Dr. Lescrenier is an active member of many medical associations, and has published over 30 papers in several medical journals. Ernest L. Madsen received the Ph.D. in Physics from The Catholic University of America in 1968 after which he completed two postdoctoral years in the Physics Department at Ohio University and two postdoctoral years in ultrasound research in the Medical Physics Department at the University of Wisconsin – Madison. He remained on the staff at the University of Wisconsin – Madison and is now Professor of Medical Physics there is also Chair of the Graduate Committee. He is Associate Editor of Ultrasound in Medicine and Biology and of Ultrasonic Imaging. He has served on the ultrasound and MR committees and the AAPM and extensively on the Technical Standards Committee of the American Institute of Ultrasound in Medicine (AIUM) being chair of the later committee for two years. He was elected Fellow of the AIUM in 1988. His research has resulted in 75 peer-reviewed publications in a variety of areas including ultrasound phantoms, scattering and exposimetry as well as MR phantoms. Mary Kaye Martel received her Ph.D. from Clark University in 1984. She was a postdoctoral fellow at Memorial Sloan-Kettering, was a faculty member at Columbia-Presbyterian for 7 years, and is currently Associate Professor of Radiation Oncology at the University of Michigan. She became board certified by the American College of Radiology in Therapeutic Radiological Physics in 1986. Dr. Martel serves on various AAPM committees and was elected Board Member-at-large. She was the Scientific Program director for the year 1998 of the Annual AAPM Meeting. She has published 39 papers in peer-reviewed journals. Renate Muller-Runkel received her Diploma in High-Energy Physics under W.Paul in Germany. After moving to the US in 1968, she spent 9 years at home, raising 3 children. In 1981, she earned a Ph.D. in Physics from IIT, and joined the Medical Physics group at Michael Reese/ Univ. of Chicago under J.Ovadia (ABR certification :1986). In 1986, when the Oncology Center at SMM opened as the first high-technology center in NW Indiana, Renate was responsible for all Physics aspects. She introduced Record&Verify (1989), HDR (1990), 3D CT-based conformal therapy (1994), and the first CT-guided prostate implants in the Midwest (2000). As Radiation Safety Officer, she is also responsible for regulatory aspects in Nuclear Medicine and Diagnostic Radiology at both the North and South campus and various Off-site facilities. As time allows, Renate pursues research, engages in AAPM activities, and teaches courses for residents and technology students. Dr. Nelson received the Ph.D. degree from the University of California, Los Angeles in 1977 and has research interests in computer modelling, visualization, fractal mathematics and 3D ultrasound (3DUS) (http://3dultrasound.ucsd.edu). He is Professor of Radiology at the University of California, San Diego and directs an internationally recognized research program in 3DUS which developes imaging systems to assess fetal growth and cardiovascular function. He lectures internationally and mentors visiting faculty from around the world. Dr. Nelson is board certified by the ABHP and the ABR. Dr. Nelson reviews for numerous scientific journals, serves on the editorial board of Ultrasound in Medicine and Biology and is Associate Editor of the Journal of Ultrasound in Medicine. Dr. Nelson received a 3D Ultrasound Pioneer Award from the 2nd World Congress on 3D Ultrasound in Obstetrics & Gynecology in 1999 and a Special Award for Extraordinary Teaching from the UCSD Residents in Diagnostic Radiology in 1995. Ronald Price received his Ph.D. degree in Physics from Vanderbilt University in 1970. He joined the Department of Radiology and Radiological Sciences at Vanderbilt University Medical Center in 1971. Dr. Price is now Professor of Radiology and Professor of Physics and Astronomy and serves as Director of the Division of Radiological Sciences. Dr. Price has served in many capacities in the AAPM. He is the past Vice-Chairman of the Science Council and currently chairs the NMR Committee Task Group on Functional Magnetic Resonance Imaging. He is board certified by the American Board of Radiology in Diagnostic Physics and Medical Nuclear Physics. He is active in the American College of Radiology and currently serves on the MRI Accreditation Physics Committee. He is currently principal investigator on two federally-funded grants for medical imaging, one from the National Science Foundation and the other from the National Institutes of Health. He has authored or co-authored over 90 articles on medical imaging. E. Russell Ritenour, Ph.D. is Professor and Chief of Physics, Department of Radiology, Medical School and Director of Graduate Studies in Biophysical Sciences and Medical Physics in the Graduate School. Receiving his Ph.D. in physics from the University of Virginia in 1980, he completed an NIH postdoctoral fellowship in medical physics at the University of Colorado Health Sciences Center, where he remained for nine years, serving as Director of Graduate Studies in Medical Physics from 1984 to 1989. His research interests include radiologic quality assurance, distance learning systems, and computer-based instruction. He served the AAPM as Chair of the Committee on Education and Training of Medical Physicists from 1993-98 and chaired the Program Committee of the World Congress on Medical Physics and Biomedical Engineering from 1995-2000. He is currently chair of the Committee on Continuing Education for the Commission on Accreditation of Medical Physics Educational Programs. for his paper entitled "Accurate condensed history Monte Carlo simulation of electron transport. I. EGSnrc, the new EGS4 version," Med. Phys. 27 (3) 2000, pp. 485 -498.
for their paper entitled, "Advanced single-slice rebinning in cone-beam spiral CT," Med. Phys. 27 (4) 2000, pp. 754 - 772.
for their paper entitled, "Cone-beam computed tomography with a flat-panel imager: Initial performance characterization," Med. Phys. 27 (6) 2000, pp. 1311 - 1323.